MALCOLM Gladwell, author of The Tipping Point, notes that there are three types of people involved in the phenomenon of word of mouth, and one of them is “connectors”. While Gladwell is looking at character traits to clarify personality types, it seems to me that the same can be said for different positions as a function of a job. Certain careers seem to bring out the connector in all of us, and one of those careers is that of administrative support. While the various roles of administrative support personnel (admins) are constantly changing over time, one role never seems to change much: being a connector. Admins are constantly learning about building relationships and making connections with people — co-workers, clients and managers. 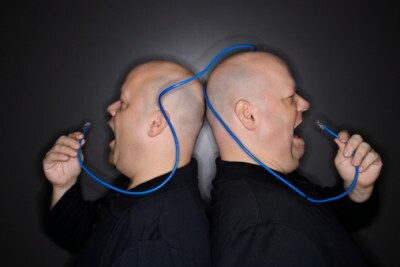 But a fact that often goes unnoticed is that admins actually are the connectors in companies. If this is your role, let’s start by looking at the different departments or people you regularly deal with on a daily basis as a function of your job. Perhaps they include clients or customers, other admins, company management, your boss, travel agents, information technology (IT) staff, accountants and others in the finance department and human resource representatives. The list goes on and on. Now, what do these different people have in common? The fact that they all connect to each other through you. You might take the information provided by human resources and sort it for your boss so that she can hire a new employee. You have just connected your boss to human resources as well as some external hopefuls. Maybe you need the input of a travel agent to provide the finance department with dollar figures so they can arrange the expense account for payroll to cut a cheque for your boss’s trip to a convention. Here you have connected four people or groups: the travel agent, your boss, the finance accountant and the payroll admin. You might say that you connect with all these different people and departments because it is almost like a side effect of your daily duties. After all, how can you arrange that trip without talking to the finance department and the travel agent? The reason you are a connector, though, lies much deeper in the modern business model. The business model of corporations — which has filtered down and pervades many small and medium businesses too — is that of separation of functions. People tend to work in groups, or pods, that are constructed based on function: finance, payroll, design, engineering, quality, technical writing, information technology, benefits and so on. They even create a sense of teamwork based on that familiarity. The current business model, however, requires that all of those pods have a connector of some sort. That’s where administrative support comes into the picture. Admins are the connectors that tie all these pods together. They create the hubs around which all the other staff are able to work with one another. They unite the disparate groups and, as a result, create a company-wide team spirit. The ways you connect with groups and individuals are probably as varied as the number of groups you deal with. You probably have a lot of face-to-face time with your own boss, while other department heads might be reached mostly by phone. Contact with individuals in other departments probably includes a lot of e-mail or text messages, while folks outside the company are likely accessed via a blend of phone and e-mail. This is why it is so important for admins to be great communicators. To make the company work like a well-oiled machine, admins must be able to communicate well, which in turn will build relationships that will allow them to not only make, but also to maintain, those connections. Keep this idea in mind when you are dealing with others, both within your organisation and outside it. If something caused all the admins in your company to be unplugged at the same time, the pods might still function, but the company as a whole would definitely not work as well. You are the connectors that create the hubs around which the modern business model functions.